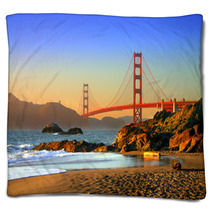 The Baker Beach, San Francisco decorative pattern is on hand in an array of decor goods from murals, to duvet covers, to round rugs and curtains, and even baby blankets or shower curtains. 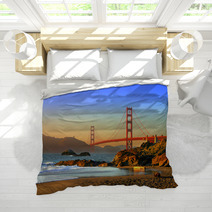 Entire Golden Gate Bridge themed collections are available for your bedroom, bathroom and almost any room in your house. 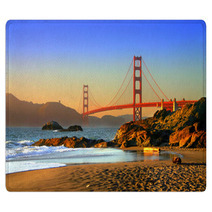 Have you thought about a new soft area rug for your family area? 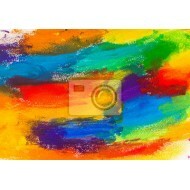 We can change the main color or any color within this graphic to ANY color you like. 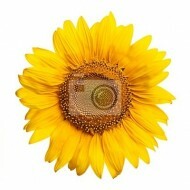 We can also print a unique message anywhere within the pattern. Our personalization choices are almost infinite. 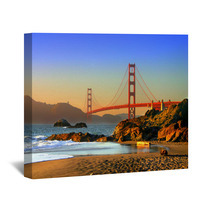 We can adjust the accessory objects or the main object within this specific Baker Beach, San Francisco graphic. You might be a homeowner who never uses your window treatments, but natural light beaming in through a window brightens up any indoor place, making it serene and more charming. However, that isn’t saying that windows shouldn’t still have intricate curtains. 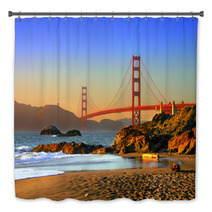 In the end, curtains don't just give style to your windows, they also gift some much-needed privacy. Pale shades of curtains allow small spaces to appear bright and clear. Plus, they don't dominate the space. If you want dark shades and striking colors for more character or to better block the sun, ensure that you keep your walls light or neutral color. 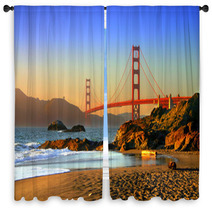 For more personality, hang up a set of Baker Beach, San Francisco curtains. All curtains should be installed at floor-length, unless there is a piece of furniture that would be in the way. If there is a furnishing below your window, whether it's a loveseat, a sink, or simply just a small chair, your curtains should hit right below the window trim. When putting them up, always pin them high up. Your visitor’s eyes will follow lines, so highly installed curtains will definitely add height to your room. 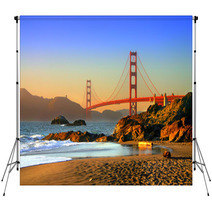 Wishing for an effective technique to create some diversity in your decor? 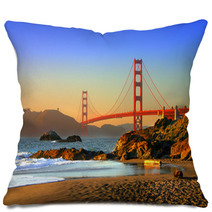 Try an eclectic combination of Baker Beach, San Francisco patterns! 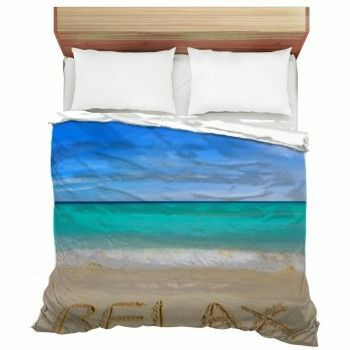 Whether it’s your duvet cover, chairs, draperies or throws there are endless possibilities of what you can create. 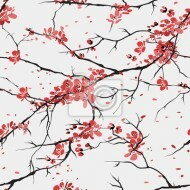 Plaid and floral designs are a reliable combination, while a landscape illustration can pair well with a solid color.